2. I’m with you on number 2 (clogs and slides). 3. You have a pretty bad case of travel wanderlust man! 4. I want to hear about how your Harvard dad disowned you once if you want to tell us…? Congratulations, Julia! I’ve really been enjoying your blog since I discovered it recently – and thanks to your list here, it looks like there are plenty more of quality to read. Congrats, Julia! And thank you so much for including me in your list of blogger awards. I’m really touched. I love to read Wordsxo every day too. Thanks also for introducing me to lots of other writing blogs! I really enjoying reading blogs abotu writing, but I don’t tend meet a lot of those bloggers because I’m so focused on food. So I can’t wait to check out the blogs on your list! You have been ALL OVER THE WORLD! So awesome! ANd I think Zoology would have been so cool! That’s wonderful, Julia! Many congrats… It was great to learn some interesting facts from your life. You travel/move as much as I do! 😉 Thanks also for the links to yet more blogs; I will definitely check them out. Congratulations to you and thanks for the shout-out, Julia. I especially love all the factoids about you. Wow, have you traveled! If I never had to fly again, I wouldn’t. I love car rides, but have yet to be on a serious train trip although I want to. I haven’t owned a pair of heels in more than 10 or 15 years. Who needs ’em? I’ll be accepting this honor in the days to come. I love reading your blog, along with many of the others listed on this page that I found through you. Too fun, Julia! Congratulations and Thank you. I’m familiar with some of these 15 and can’t wait to visit the others. Wow — you’ve had an interesting life, Julia! I always enjoy your posts, and now think I’ll have to go back and read everything I missed before I “met” you. Thanks so much, Julia!!!! I appreciate that description so much! And I loved reading the 7 things about you. You’ve been so many places! Julia! Congrats on the well-deserved award and thank you so much for including me on that illustrious list! I may have to work a bit harder to actually deserve that! Thank YOU for all of your support and encouragement over these past few weeks. I have enjoyed getting to know you through blog comments and loved reading the seven things about you. I am very jealous of your travels! Julia–wow, what adventures you’ve had (and who knows what lies ahead too?!). Thank you for sharing your award with all of us, and for including me in your list–what a treat to be included in such company! I can’t wait to learn more about the other bloggers I haven’t yet gotten to know, and so wonderful to see so many familiar names/faces of those I do. As you wrote, these are indeed blogging friends–and I am so grateful to have met all of you! Congratulations, Julia! You are a wonderfully versatile blogger, so you totally deserve the award. 1. I ALSO never wear heels! 2. I hate coffee, but love the smell of coffee, and can manage to drink foo-foo flavored coffees, but I much prefer tea. 4. I like the results of gardening and yard-work, so I tolerate it, even though I’d much rather be doing something else. 5. I like flying but have only done it twice in my life. I don’t mind long car trips. 6. I’m woefully under-travelled and the only other countries I’ve been to are Canada, the Bahamas, and Aruba. Fun post, and congratulations again! Congratulations, to a fellow clogger (and I mean that in the best sense), and thanks for the introduction to some great new blogs. Congratulations, Julia! I loved reading the 7 facts about you–how amazing that you’ve traveled all over the world, and that you went to three different colleges (just goes to show you knew what you wanted and weren’t afraid to keep trying till you got it)! Thanks also for including me in such great company. Looking forward to checking out some new blogs! So humbled by your award, Julia, and so excited to learn more about you. I knew you were a ‘global citizen, but did not realize just how many places you’ve lived, visited and traveled. VERY jealous of rainforest stops and river adventures. Wow. You have SO MUCH fodder for your fiction! You are simply incredible and I enjoyed your post very, very much. Fun to see your top bloggers – many of whom I will have to add to my list! Thank you, again. I’ve so enjoyed getting to know you. Congratulations! I just started reading your blog and blogging – it’s well deserved! I’m thrilled for you. Thanks so much, Julia! It has been a true pleasure getting to know you through our blogs. And I’m honored to be one of the blogs you faithfully follow. By the way, I too, HATE flying and avoid it at all costs. Congrats on the award Julia! And thank you SOOOO much for your kind words here and nominating me as well 🙂 Means a lot! Wow- I am envious of your travel resume- that is supremely awesome. I want to live in other countries as well, I think that international travel should be a requirement for all to do because it really helps us expand our POV to other perspectives in a way reading and watching documentaries or tv shows on travel can’t. Deborah, So glad you’re enjoying my blog! Glad to have you reading! Jen, I am amazed at the wonderful writing blogs out there! And one of the reasons I like to read your blog is because I am introduced to many cooking blogs! Liz, Yes, many travels; zoology is cool but not sure I’d have been happy stuck in a lab which is where I was headed! Lisa, Traveling is good, right? However, in some ways I missed out by not having the roots in one place…I will definitely be visiting your blog more! 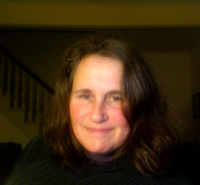 V.V., You’re so welcome; I enjoy your blog and glad you read mine, too! Amanda, So glad you are reading my blog — I’m also going back to read some of your “older” posts. Great writing! Nina, You’re welcome. A huge fan of your blog and short stories! Erika, You are a wonderful blogger, so your thanks means so much! I’ve had many adventures, with many to come — and even Twitter and blogging has turned into much more than I expected! Chris, Thanks! And LOVE the 7 things (many in common 🙂 A BSEE by any plan is nothing to sneeze at, yikes; studied by my (Mech. & Comp. Eng.) husband’s side as he took Circuits. Hard stuff! Glad you enjoyed the post! p.s never have been to aruba, would love it I’m sure! Natalia, You’re very kind with your thoughts on my college experience; unfortunately I crack it up more to “running away” than “running toward.” LONG story. Your blog is fabulous, and so glad to introduce others to it! Melissa, You have NO IDEA how much fodder I have…. out the wazoo 🙂 Seriously, you and your blog are treasures; so glad you read mine, too! Ann, Very glad to have you reading! Nice to meet you; thanks for the comment! Julia, I’m so thrilled to be included! And I’m doubly thrilled that you included both my blogs. Thank you! I absolutely adore the fact that Ado @AdoTheMomalog who writes Momalog is the one who awarded you Versatile Blogger. I love her blog! (and it was because of seeing her commenting on your blog that I even found it – being a granny these days I’m not usually out looking for blogs by mommies :~) but Ado’s blog can be enjoyed by a wider audience than just moms. I loved your 7 random things! I totally agree with #2 – ME HATES flavored coffee. But I won’t drink just any old coffee. I don’t enjoyed brewed coffee and it gives me spots in front of my eyes. I stick to espresso (though I’m not partial to straight black shots – I prefer mine with half-and-half). And I just gotta say about your #6 . . . it’s a good thing you are a very busy writer because reading all that made me long to make you write for Milliver’s Travels full time. LOL!! Now I’m off to make my difficult decision. I received two blogger awards in a short space of time. I have to decide how to blog about these two awards and whether to pass on the awards to either 5 or 15 other bloggers. In any case, I’ll let you know when my post goes up. Duh! If I’d been a more consistent reader, I would have seen that you just got this award! No matter; you deserved another one. You’ve been leading a very interesting life. 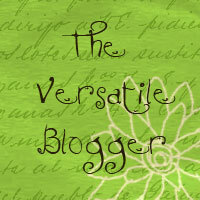 One small plea for help: How do I get that Versatile Blogger Logo on my home page? I’m clueless! Susan, NOT TO WORRY!! I feel so happy to get another one in such short time!! As for the posting the logo, I sent you an email; not much help, but hopefully some pointers! Thanks again!